More than just a card, our Butterflies and Dragonflies 3D Pirouette Card is a garden in an envelope! This stunning card lays flat so you can write your message on the underside, then slips into the included envelope to be mailed off to a special someone. 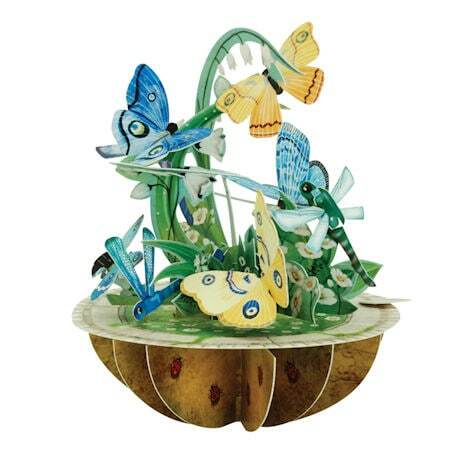 The recipient reads the message and, with a simple turn of a tab, expands the card into a marvelous 3D gardenscape! Graceful butterflies and delicate dragonflies flit around and perch on a cluster of beautiful blossoms, making this a wonderful keepsake to display year-round!